Looking for a one stop shopping Berlin experience? 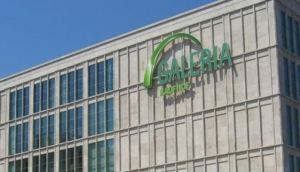 Head to one of Berlin’s many shopping centres. These ‘Arcaden’ are massive centres that house most of the populat brands and services, everything you could possibly need in one spot. The few luxury department stores in Berlin are housed in beautiful old buildings and feature extravagant goods, designer brands, specialty services, luxury items and gourmet food. KaDeWe - Kaufhaus des Westens (Department store of the West) on the border of Schöneberg and Charlottenburg is the headliner in the Berlin luxury-shopping list.